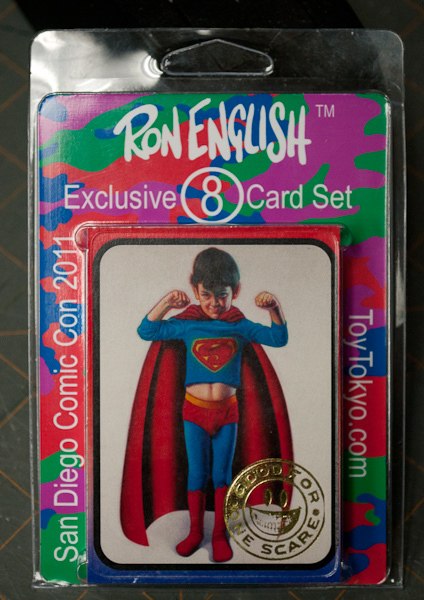 SideKick has produced an 8 card mini set of Ron English art, to be sold exclusively by ToyTokyo at SDCC. 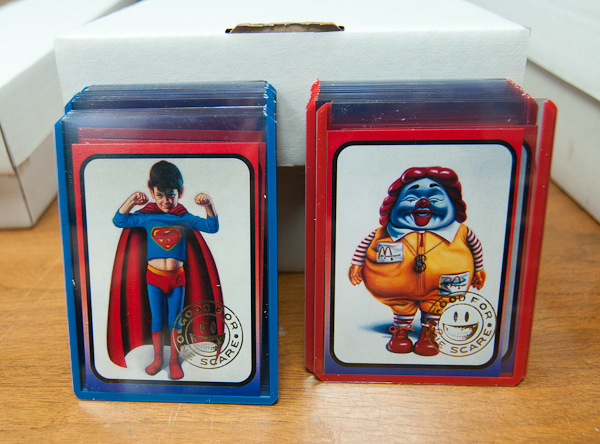 “Superboy” and “McSupersized”. All cards gold foil embossed. 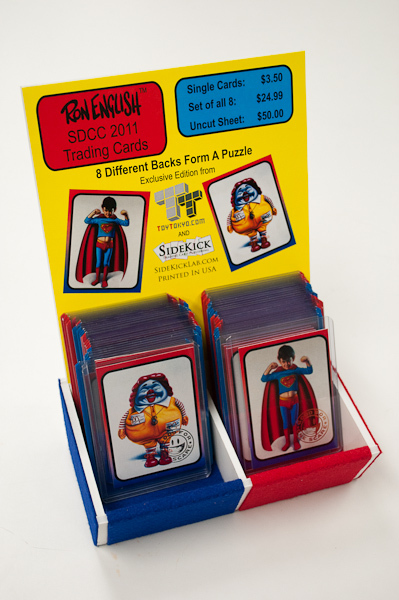 Cards will be sold throughout the show, at the ToyTokyo booth (#5437). Ron English, and Morgan Spurlock will be in attendance at the ToyTokyo booth for signings, at several times over the 4 day show. 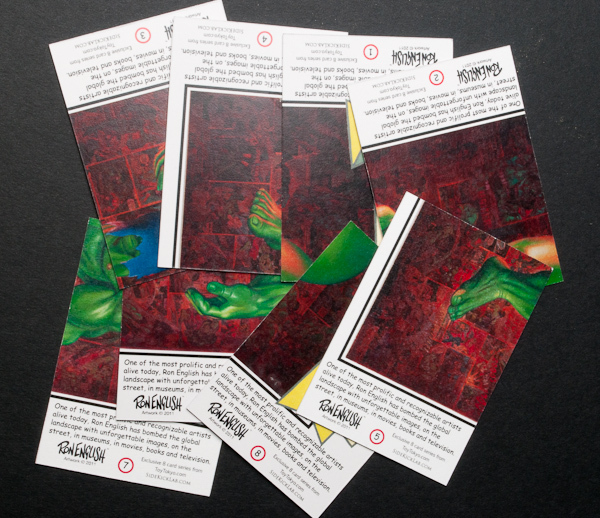 These special trading cards will be available for purchase as single cards ($3.50 each), in an 8-pack ($25), or an uncut sheet of 8 ($50).